“Semana Del Seguro 2016” is the meeting point which takes place annually for all professionals. Over more than 20 years, it has established itself as an obligation to understand and analyse current issues and trends in the insurance world. During three days of conference, 23rd to 25th February 2016,meetings, forums, among others will take place, making Madrid the epicenter of the insurance industry. 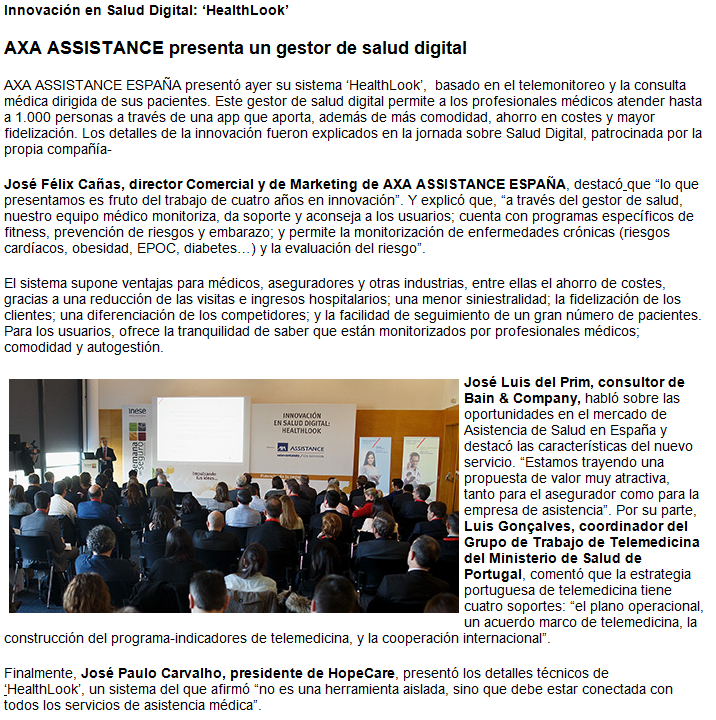 Hope Care presented Healthlook yesterday, thus beginning the project in Spain.